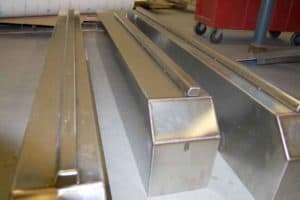 Badger Sheet Metal Works manufacturers packaging components used in a variety of machine component assembly projects including plastic bag-making machinery, pharmaceutical, dairy and consumer goods, and equipment for industrial applications. The bundlers, wrappers, case packers and variety of full line solutions offered by these companies all require frames, housing and other packaging components to complete the assembly. Badger Sheet Metal Works’ northeast Wisconsin location places it in the heart of the North American paper converting industry, putting it in prime position to partner with some of the industry’s leaders. Supplying these major players with high-quality components is a responsibility the workforce at Badger Sheet Metal Works takes very seriously. For more information about Badger Sheet Metal Works’ packaging components, call Kenny Coe, director of sales, at (920) 435-8881, or visit https://www.bsmw.com/. View original article on packaging components here.